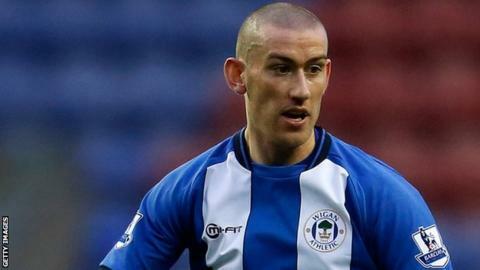 Wigan midfielder David Jones has joined Championship side Blackburn on an emergency loan until the end of the season. The 28-year-old has been included in the squad for Saturday's match against Peterborough United. "I'm delighted to be here, Blackburn is a massive club," said Jones. "I thought my opportunities would be limited at Wigan for the remainder of the season and this chance arose so I wanted to take it." Jones began his professional career at Manchester United, where he spent four seasons but made only four first-team appearances. He was sent out on loan to Preston North End, Dutch side NEC Nijmegen and Derby County before sealing a permanent move to the Rams in 2007 for a reported fee of £1m. The Southport-born player then joined Wolves for about £1.2m in the summer of 2008. He was a free agent at the end of the 2010-11 season and was eventually picked up by Wigan Athletic, where he has made 35 appearances to date.